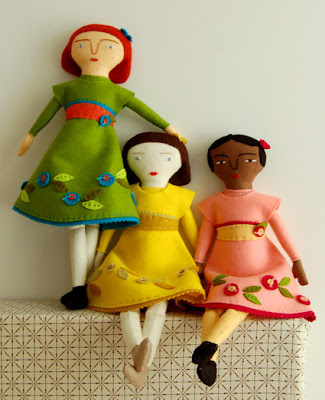 I read on allsorts blog about Craft Hope, a love inspired project designed to share handmade crafts with those less fortunate, which has begun its second project, collecting handmade soft-bodied dolls to send to the children at the Casa Bernabe Orphanage in Nicaragua. Many of the children come from abusive situations and the dolls will allow the children to develop the mothering and nurturing instincts that most little girls have. Its such a good idea and the people participating are really taletented, the dolls and the pillowcase dresses from the first project are more that beautiful. 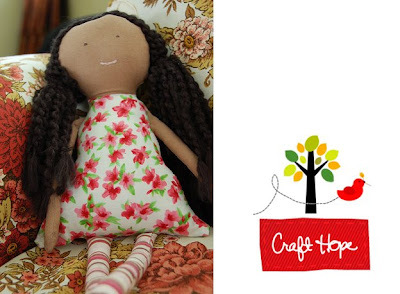 There's a Craft Hope flickr pool where you can see the dolls that have already been completed as well as previous projects. If you're interested in participating you can sign up at Craft Hope. They will need the dolls by June 13th, so you better start stitching (or knitting if that's your thing)! Son divinas! Causa muy buena. Las venden en tu tienda? ?